During his 70-year career, innovative and influential architect Frank Lloyd Wright designed structures and furnishings in harmony with their surroundings. 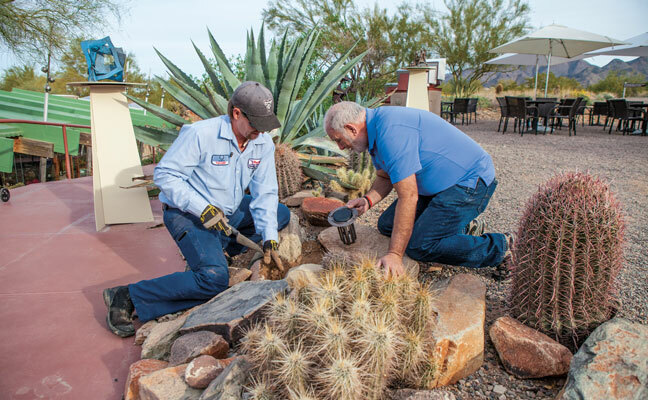 ProBest Pest Management, Gilbert, Ariz., currently services 24 of the 30 Frank Lloyd Wright structures in Scottsdale, Ariz. Owner Keith Birkemeyer, ACE, got involved with the Frank Lloyd Wright Foundation about 10 years ago to help solve a rodent problem, and the partnership took off from there. 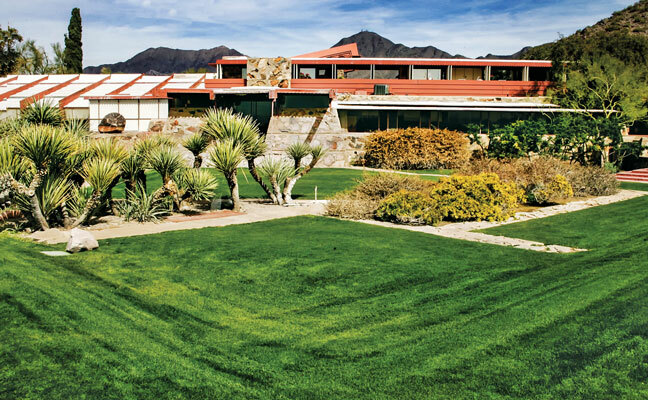 In December, ProBest teamed up with BASF Pest Control to solve a particularly pesky case of desert subterranean termites (Heterotermes aureus) at Taliesin West, Wright’s winter home and studio in Scottsdale, until his death in 1959. Birkemeyer, right, installed Trelona with ProBest Technician Robert Kretcher, ACE. It took approximately 2.6 hours in total application and install time. Today, Taliesin West houses the Frank Lloyd Wright School of Architecture, as well as the Frank Lloyd Wright Foundation. Taliesin West’s Coconino sandstone walls are up to 3 feet thick. 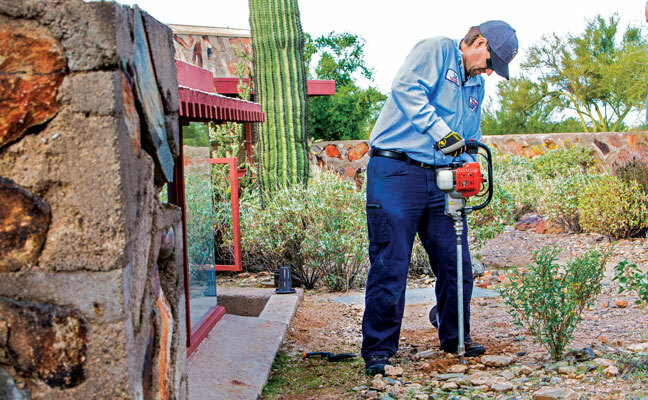 The Frank Lloyd Wright Foundation was concerned about drill holes and trenches. 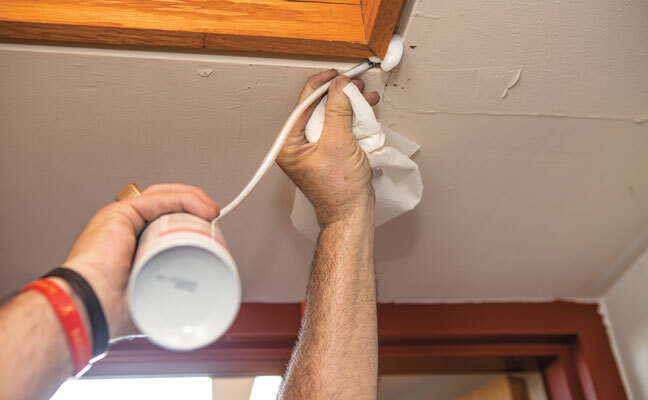 Thus, even though termite tubes were discovered years before, ProBest could only take short-term control measures. With BASF on board, though, Birkemeyer decided to try a two-pronged strategy of installing the Trelona Advance Termite Baiting System around the perimeter, and treating the foundation with the Termidor HP II High Precision Injection System. 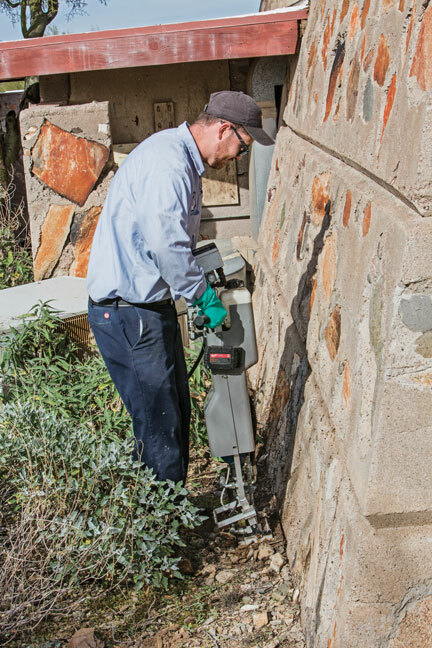 The hydraulic action eliminates the need for rodding, trenching, and drilling, unless there is termite activity. Inside the structure, Birkemeyer treated voids and mud tubes with Termidor Foam Termiticide/Insecticide.